Broccoli has such a range of health benefits that I felt it necessary to write another 'nutritional nugget' for this super green veg; so here is 'Brilliant Broccoli' part two! Broccoli is beneficial for its cholesterol lowering properties, for providing detoxification supporting nutrients and for those individuals taking supplemental vitamin D.
Broccoli has a unique combination of 3 key phytonutrients that help to promote all the stages of detoxification. Broccoli can therefore support the elimination of unwanted toxins in our body! Broccoli can do wonders for individuals requiring high dose vitamin D supplementation. This is because the good levels of vitamin K and beta carotene found in broccoli work together to maintain the balance of vitamin D levels within the body. Broccoli can offer cholesterol lowering advantages, if the broccoli is cooked by steaming. This cooking method improves the binding process of the fibre to the bile acids in our digestive system. This will encourage the elimination of bile which can consequently help to lower cholesterol levels. The healthiest way to cook broccoli, is to first leave the cut broccoli for 1 or 2 minutes to boost its beneficial qualities, before steaming it for a maximum of 5 minutes. Otherwise known as Tuscan kale, cavolo nero has its own rich, intense flavour. This relative of kale packs a punch in terms of nutrients containing vitamins A, C and K, the minerals calcium, manganese, and iron and a variety of antioxidants. As with other cruciferous vegetables cavolo nero is rich in sulphur containing phytonutrients. These help the liver to process toxins so that they can be excreted. It is thought that this activity contributes to the vegetable’s anti-tumour properties and may help to prevent a number of cancers. Early findings suggest that cavolo nero may have neuro-protective effects on people suffering from multiple sclerosis, but further research is needed to identify the mechanisms. The antioxidants lutein, zeaxanthin and beta-carotene, present in cavolo nero, are especially beneficial for eye health. Research indicates that these nutrients may help to protect against age-related macular degeneration. This versatile vegetable can be sautéed or steamed, tossed into stir-fries, salads or smoothies. It will especially impress sautéed with onion, rosemary, chilli and garlic to create a delicious, antioxidant boosting dish. This ‘super- fruit’ is a must, as part of our everyday diet; it is rich in antioxidants, healthy fats and an array of vitamins and minerals. Unlike other fruits, the avocado consists mostly of fats rather than carbohydrates. However these fats are healthy fats and can in fact be beneficial to weight management. Avocados have been found to improve the feeling of fullness and reduce body mass index. Avocados consist of high levels of monounsaturated fats (including oleic acid), phytosterols, omega six and omega three fatty acids. The combination of these healthy fats provide excellent brain health support and these fats are also highly beneficial for cardiovascular health. The combination of healthy fats, antioxidants and anti-inflammatory nutrients are especially useful for reducing the risk of heart disease, partly due to reducing unhealthy (LDL) cholesterol. The phytonutrients are mostly concentrated in the green flesh just under the skin of the avocado. These nutrients include beta-carotenes, lutein and zeaxanthin; all essential for eye health and have been found to reduce the risk of macular degeneration. Furthermore the avocado can promote the absorption of beta-carotene's and improve the conversion of beta- carotene to its active form -vitamin A. The fat content of the avocado will also help with the absorption of all fat soluble vitamins (A, D, E and K.)It would therefore be prudent to consume avocado at the same time as other nutrient rich foods. Avocado will certainly invigorate any salad and can also be enjoyed for breakfast as a spread on wholegrain toast, as a guacamole dip or blended with kale, frozen berries, banana, mixed seeds and coconut milk in to a delicious, creamy smoothie. Celery is often thought of as a crunchy low calorie option due to its high water content. However, this veggie is bursting with numerous vitamins and minerals including molybdenum folate, potassium, manganese, B vitamins and vitamin K. It is also rich in a range of antioxidants and this combination of nutrients can provide us with many surprising health benefits. The special and varied phytonutrients in celery provide anti-inflammatory and antioxidant protection. New research suggests that some of these phytonutrients actually help to reduce certain inflammatory molecules in the blood, helping to reduce unwanted inflammation in the body. The anti-inflammatory protection can be particularly helpful in the digestive tract. The pectin based, non-starchy substances contained within celery, protect the digestive tract against inflammation and new research suggests that these substances may decrease the risk of stomach ulcers. There are specific nutrients in celery that can provide cardiovascular benefits. These nutrients are believed to help our blood vessel walls relax. Consequently the blood vessels may be more flexible and able to enlarge, helping to maintain low blood pressure. Tip: Make use of the celery leaves as they contain the most calcium, potassium and vitamin C. However use the leaves within 2 days in order to avoid them wilting. Celery can be thinly sliced and steamed to make celery spaghetti and it is great as crunchy crudités dipped in nut butter, tahini or hummus. Conversely, this fantastic veggie is just as delightful in chicken or minestrone soup, chopped in to salads, stir fried, roasted, braised or juiced! Fennel contains a myriad of vitamins, minerals and phytonutrients and has countless health benefits. Furthermore, it has been used for centuries as a herbal remedy for congestion, digestive problems and to promote breast milk flow, menstruation and urine flow. Clinical studies have indicated that the phytonutrient anethole has anti-cancer properties and can reduce inflammation. The research found that anethole inhibits the promotion of a harmful molecule which can alter genes and cause inflammation. Fennel promotes bone health due to it’s combination of iron, phosphorus, calcium, magnesium and manganese. Fennel’s potassium, calcium and magnesium composition can help to lower blood pressure and the fibre content will help to reduce cholesterol levels. Heart disease is associated with elevated levels of the molecule homocysteine in the body, however, fennel’s folate content can help to prevent it’s build up. Fennel consists of a crunchy white bulb, pale green stalks and feathery green leaves from which flowers grow and where the seeds are found. All parts of the fennel can be used in your cooking. The stalks are a delicious addition to a soup base or stock .They can be sautéed with fennel leaves and onions. Additionally, the leaves can add a subtle liquorice aroma to many a dish. The seeds can spice up any meal, be brewed as herbal drink or just chewed to promote good digestion. The bulb can be chopped into salads, steamed, sautéed or roasted as a delicious starter or side. Kale is one of the richest sources of vitamin K, but it also boasts high vitamin C and vitamin A content, and is packed with a variety of other vitamins, minerals and phytonutrients. Vitamin K is vital for bone health and blood clotting. We produce about half of our vitamin K requirement in our gut; however we need to obtain the rest from our diet. The calcium and magnesium content in kale will also contribute to protecting our bones from conditions such as osteoporosis. 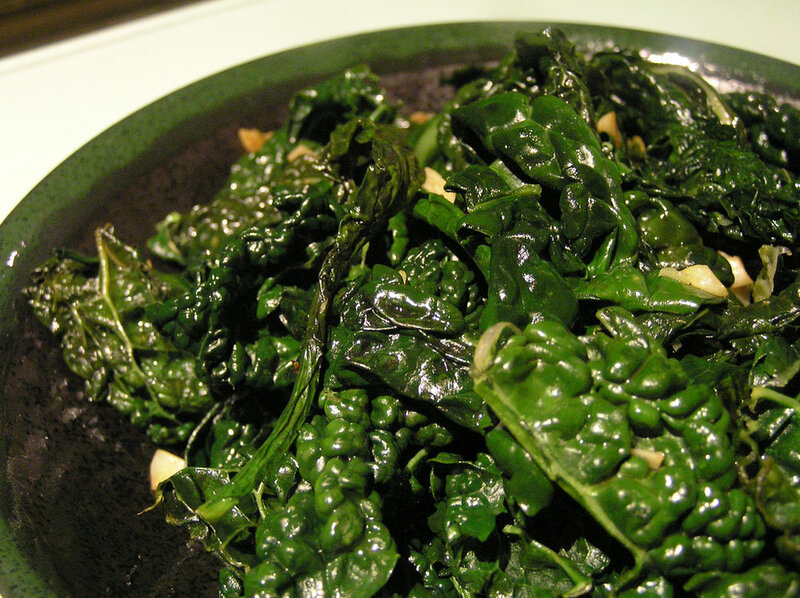 Furthermore, kale is leading source of a selection of remarkable glucosinolates. When digested, these special phytonutrients are transformed to anti-cancer compounds by the body. Before cooking kale, apply some lemon juice to the leaves and let them sit for a few minutes to maximise the health benefits. Kale can be prepared in a variety of ways; try crunchy kale chips, a crisp kale salad, or a creamy kale risotto. Alternatively sauté kale, ginger and garlic in to a mouth watering dish or top a broth styled soup with some strips of wilted kale. Leeks share similar health promoting properties to other ‘allium’ family vegetables including garlic and onion. They are bursting with nutrients and are particularly wonderful for cardio-vascular health. Many components of leeks contribute to supporting the cardio vascular system. The flavonoid, kaempferol present in leeks, increases a natural gas in blood vessels which helps to keep them flexible and protect them from damage. Elevated homocysteine levels are associated with an increased risk of heart disease. However the B vitamin folate, found in leeks, will help to reduce this risk by helping to keep our homocysteine levels low. There are also a number of fantastic antioxidant nutrients which help to protect our blood cells from oxidative damage. In order to boost the leek’s health promoting properties, leave them to sit for over 5 minutes after cutting and before cooking. Try combining your leeks into a healthy sauté with fennel or seasonal greens, include them in a tasty frittata or blend them into a rich vichyssoise soup.